The broad use of concrete blocks, or CMUs, is not just limited to industrial buildings, foundations, or retaining walls. An increasing number of builders and homeowners are recognizing the benefits of using concrete blocks as the primary material in the construction of residential homes. A home built out of concrete block provides the homeowner with many benefits, including design flexibility, durability, efficiency, and other benefits. When people think of concrete structures images of drab, gray boxes may come to mind. To the contrary, a home built out of block comes with a wide range of design choices. RCP Block and Brick produces a wide range of concrete blocks with a number of different architectural finishes, textures, and colors such as Precision Block, Splitface Block, Regalstone Block, Shotblast and Slump Block. 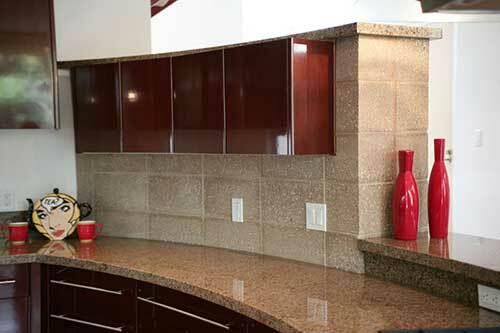 Other options include natural or manufactured stone veneer, stucco, and concrete stains. Including glass block in your design provides an additional unique design to your home not found with traditional windows. Concrete block residential homes reinforced with steel provide more durability than wood framed homes. While concrete block homes are popular in some areas of the country for their durability in the face of extreme weather like hurricanes and tornadoes, in Southern California we are more concerned with other natural disasters. Concrete block homes provide a greater durability and protection against earthquakes and fire than home built from wood, a concern for all Southern Californian homeowners. Also, owners of concrete block homes do not have to worry about problems of wood warping and termite damage like owners of wood framed homes. Because of these durability advantages over wood framed homes, concrete block homeowners often pay lower rates for homeowner’s insurance than owners of wood homes. 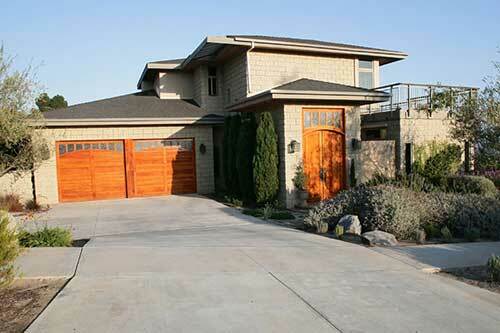 Another advantage of a concrete block home is increased energy efficiency. Concrete blocks act as an excellent insulator, retaining cool air inside the home during the summer and warm are inside the home during the winter. Concrete blocks create a tight seal, reducing heating and cooling loss in the home that can cause up to 39% energy loss in some homes. This short articles touches on some of the basic benefits of using concrete block the building of residential homes. To learn more about the benefits of building with concrete blocks give us a call and speak with one of RCP Block & Brick’s architectural representatives.